Today's Famous Food Friday features Zora Neale Hurston. Hurston was so much more than a novelist; she was a writer, folklorist, activist, and anthropologist. Most people might remember Hurston from reading Their Eyes Were Watching God in school, but know little else. If one were ask Hurston, she would have said she was born and raised in Eatonville, Florida, but in truth, she is an Alabama girl, born in Notasulga. Since she was just a child when the family moved to Eatonville, she probably had little memory of Alabama. Her favorite spot may have been Eau Gallie, Florida where she wrote to friend, "Somehow this one spot on earth feels like home for me. I have always intended to come back here. That is why I'm doing so much to make a go of it." For Hurston, home was Florida. In his book, Zora Neale Hurston on Florida Food, Professor Fred Opie delves into Hurston's early twentieth-century ethnographic research to examine the food of Florida that appears in her writing. A graduate in anthropology, Hurston conducted ethnographic research with Franz Boas and worked with both Ruth Benedict and Margaret Mead. 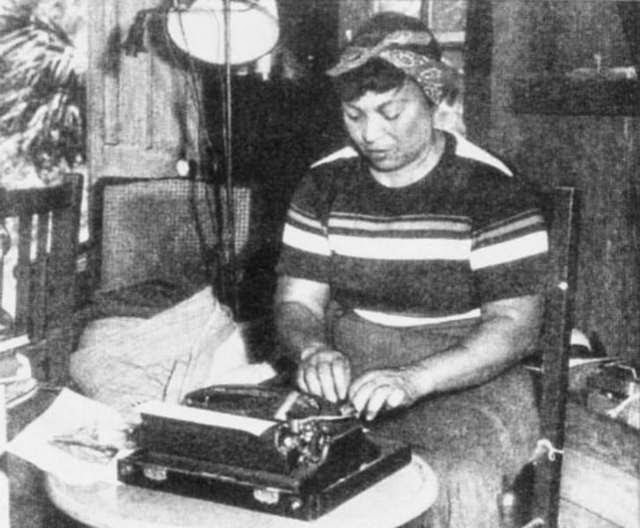 After her death, Hurston's papers were ordered to be burned, but a friend happened to pass by the house and stopped, put out the fire and saved the collection. Fred Opie has studied Hurston's ethnographic research and her literary works to look specifically through the lens of food. The book is loaded with historical photos that bring the period to life. There are fields of collards, enormous barbecue pits, chicken frying, church picnic, and advertising encouraging the consumption of lots of corn. He augments Hurston's writings on food with a collection of recipes belonging to Hurston and to the African-American community from traditionally black newspapers and other period cookbooks. Opie spends special attention to the descriptions of how foods were cooked whether braised or barbecued, smoked or fried. There is also an emphasis on traditional ingredients such as cornmeal, fish, and rice and peas along with folk remedies Hurston collected. Many of the farm laborers and sawmill workers had little or no access to doctors or medical attention so plant based cures were common among workers. In Their Eyes Were Watching God, Tea Cake is bitten by a rabid dog and his mind deteriorates from the infection. He needs a doctor but the closest one is in Palm Beach and there is no way for Tea Cake to be saved. In her research, Hurston came across a remedy for "Loss of Mind." We may make a big jug of this and keep it handy! We collect cookbooks not just for a collection of recipes, but because they root us in a specific time and place. What we eat is embedded in our lives and history. It reveals who we are. 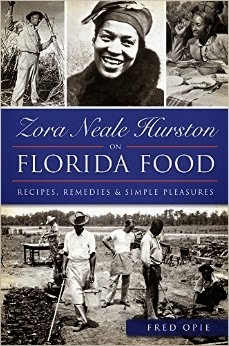 Zora Neale Hurston's life can be found in the food of her beloved Florida. We might never have known that if not for Fred Opie.